The Eagle Ford Shale rig count fell by four this week ending with 90 rigs running across our coverage area by midday Friday. In recent Eagle Ford news, the U.S. Bureau of Labor Statistics released a report showing that Eagle Ford counties led the state in oil and gas related deaths for 2014. A total of 775 oil and gas rigs were running across the United States this week. 197 were targeting natural gas (four more than the previous week) and 578were targeting oil in the U.S. (16 less than the previous week). The remainder were drilling service wells (e.g. disposal wells, injection wells, etc. )339 of the rigs active in the U.S. were running in Texas. Natural gas rigs in the Eagle Ford remained at 12 this week as natural gas prices rose slightly, trading at $2.33/mmbtu, a $.04 increase from the previous week. 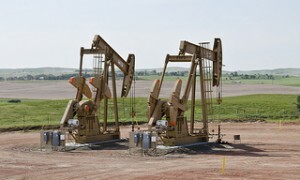 The oil rig count dropped to 78 with WTI oil prices ending the week at $46.35, a increase of $1.75. A total of 82 rigs are drilling horizontal wells, one are drilling directional wells, and seven are vertical rigs. Karnes County leads the region in development with 22 rigs this week. See the full list below in the Eagle Ford Shale Drilling by County below.